For any wholesale distributor or manufacturer the worse problem is overstocking of inventory or shortages leading to low product availability. To keep optimized inventory levels while fulfilling customer demand is not easy without solid inventory planning and replenishment processes. 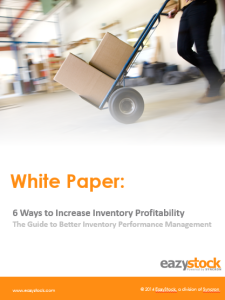 In this white paper, you will learn the top 6 ways to increase inventory profitability and performance while creating better inventory management processes along the way.